Happy Monday! 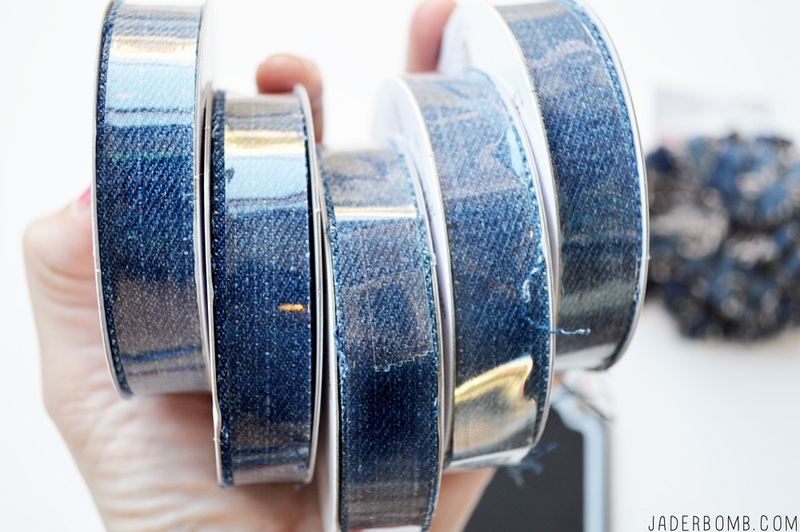 I am so excited to share some denim crafts with you today! 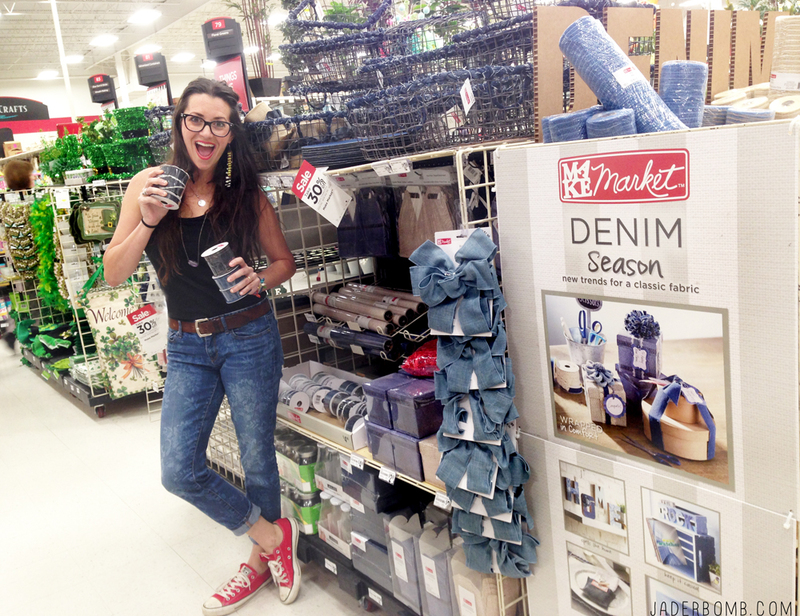 As a Michael’s Maker I was challenged by my friends at Michael’s to do something magical with their new line of denim products – Make Market. If you have not seen this line yet, now is the time! I can remember the day’s I would beg my friends for their old jeans so I could rip and tear them up. I used to always use denim and let me tell you this makes things NICE! I love the variety of denim that is available. 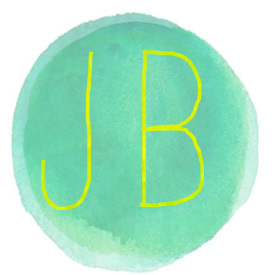 They have bows, ribbon, bags, canvases, wraps, cuts pieces and so much more!!! I started thinking about what I would make with the denim and then it dawned on me. 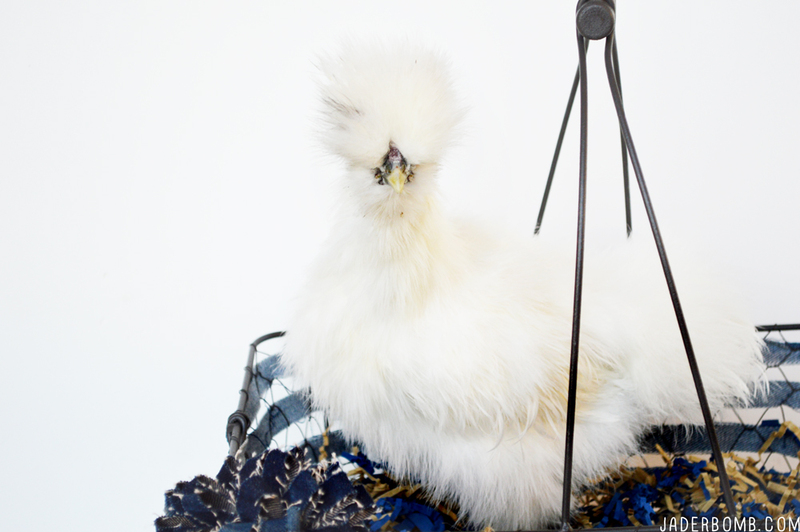 I have a new chicken and she needs a basket to sleep in and I need a new basket to get our fresh eggs with. VOILA! & and chicken. 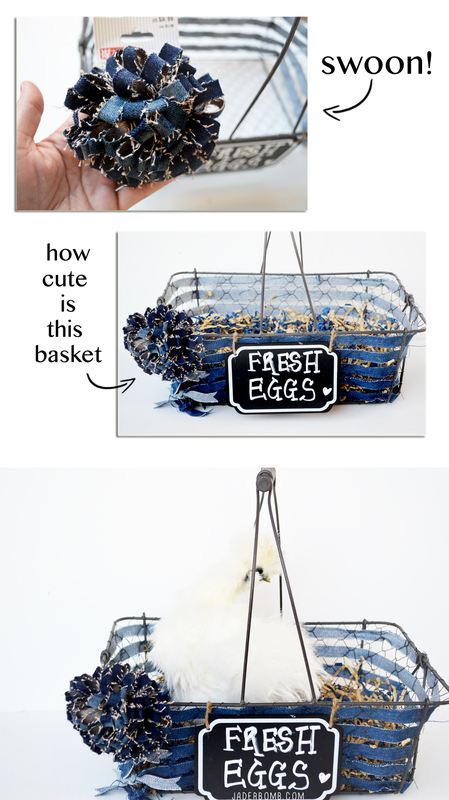 If you don’t have a chicken or fresh eggs you can still make this basket and use it for decoration or fill it with goodies and give to someone as a gift. I simply love this ribbon. I would be a little happier if they made some with adhesive backing! I mean then I could stick them on practically everything! Step 1: Open a pack of ribbon and start on a corner, weaving the ribbon over and under the openings. It’s truly simple but time consuming. Step 2: When you get all the way around cut the ribbon and tie on the corners. Once you get your first stripe start with your next one. You will start seeing the stripes appear and then…you will start to fall in love! 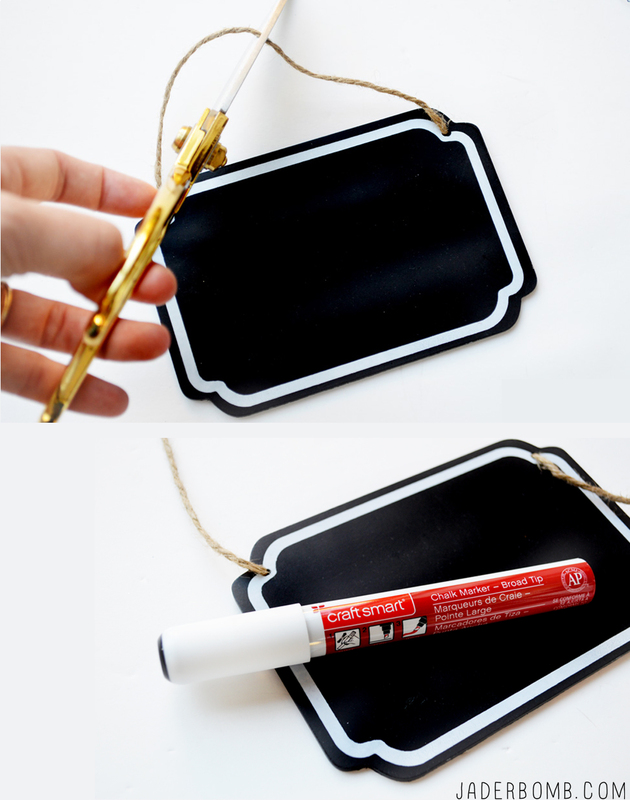 To make the chalkboard name tag: Cut the twine, write your message with a chalk marker then tie to the front of the basket. 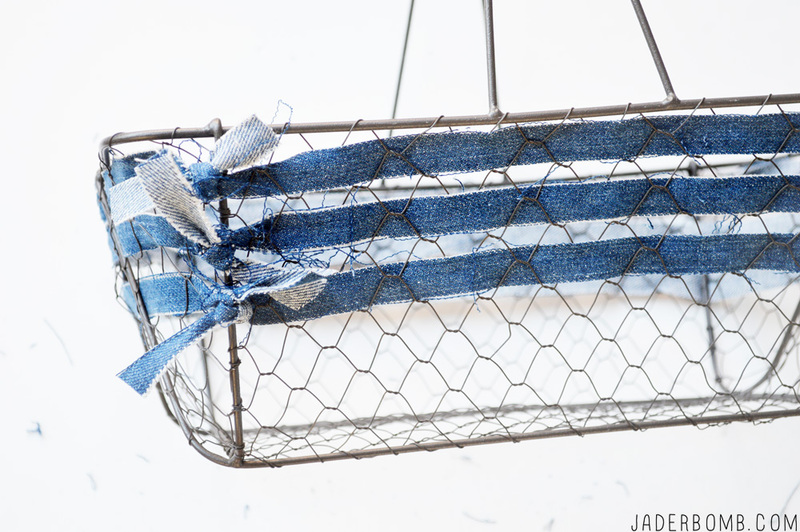 I bought this fluffy blue jean ribbon to add to the front of the basket. I love that it’s a clip. I can take it on and off and use it for other projects! 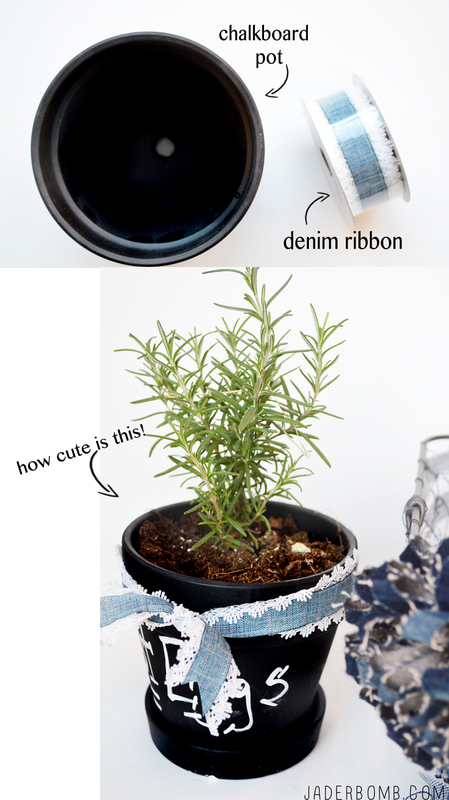 To make the chalkboard -n- denim planter: purchase a chalkboard pot or paint one and grab some denim -n- lace ribbon. Cut a piece and tie around the top of pot! Grab your chalk marker and write your message on the pot! Voila! It’s all done. 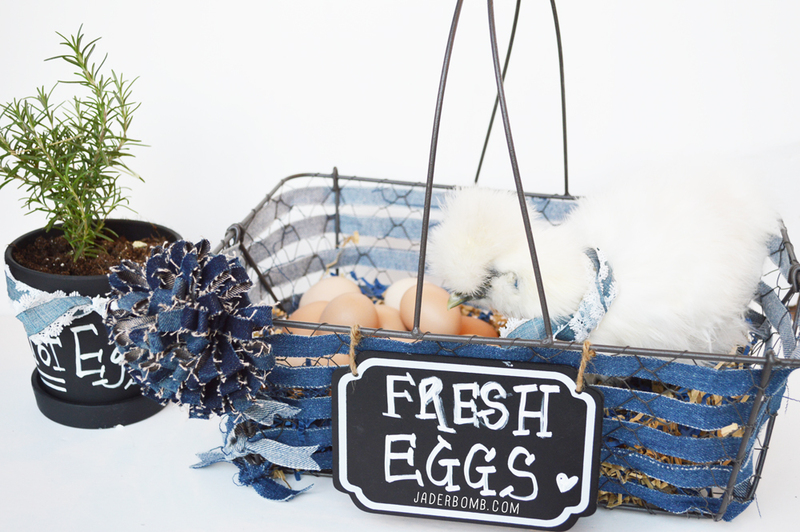 You now have your magical denim basket to gather your eggs or goodies in. You know… This would make a GREAT EASTER BASKET. Too cute! 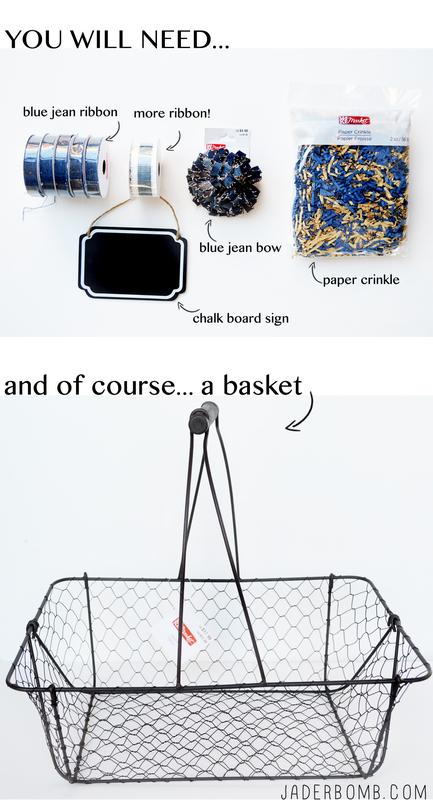 I love the wire egg basket and the chalkboard pot adorned with denim and your little chickie-girl looks so pretty. Thanks so much Mary Beth!! 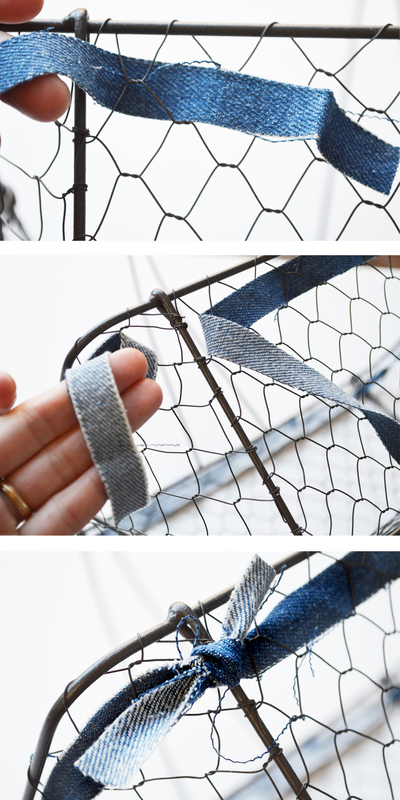 So much easier than cutting up all those old jeans!